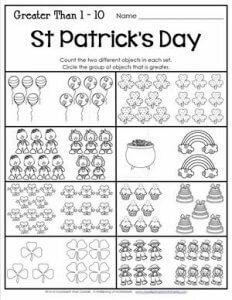 In this simple St Patrick’s Day worksheet kids count the two different objects in each set. Then they circle the group of objects that is greater. Awesome counting practice, excellent comparing numbers exercise.